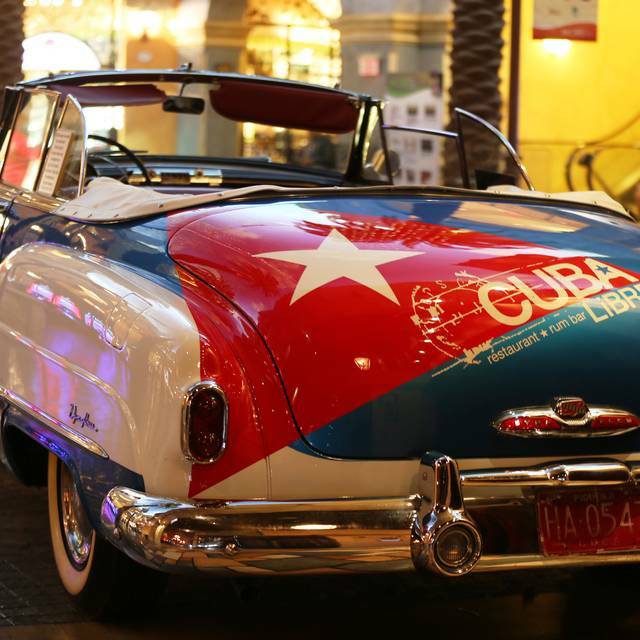 You must make reservations at least 5 minutes in advance of the time at Cuba Libre Restaurant & Rum Bar - Atlantic City. Tropicana has a paid Parking Garage and also offers Valet Parking. Follow signs to The Quarter. Street Parking also available. After dinner hours, on Fridays, Saturdays and for special events, Cuba Libre clears the tables and turns up the Latin rhythm as professional salsa dancers, musicians and other entertainers perform floor shows in the dining room. Between shows guests dance to a DJ spinning tropical dance, salsa, merengue, bachata & Latin house. Consider Cuba Libre Restaurant & Rum the destination for your next social or corporate event.Whether it’s an intimate party of 15, a grand event for 400, a themed cocktail party or an elegant dinner, Cuba Libre is the ideal setting for an unforgettable private party or special event. Passing through the doors of Cuba Libre in The Quarter at Tropicana Atlantic City transports guests to Havana, Cuba of the 1950s. The restaurant's brand new wood-burning grill and chef's counter greets guests upon entering, with wood-fired menu items to be enjoyed fireside at the 12-person counter, or from anywhere in the dining room. Guests will experience a true taste of Old Havana with James Beard Award-winning Chef-Partner's menu of classic and contemporary Cuban cuisine. 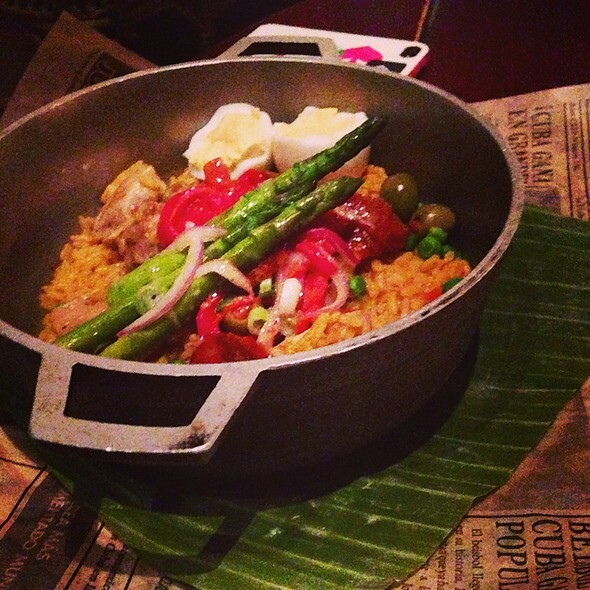 There's something for everyone, ranging from simply-grilled meats and seafood, to Cuban classics like Ropa Vieja, Vaca Frita, Shrimp con Mojo, or the Grilled Vegetable Paella. 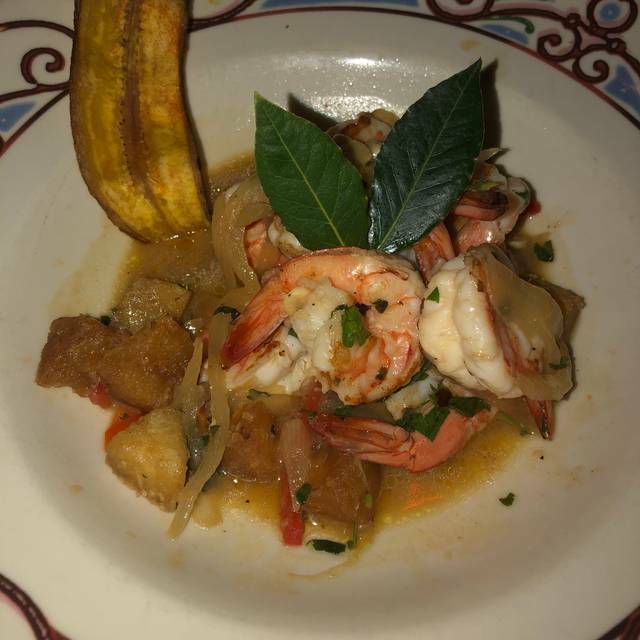 The atmosphere offers the unique combination of Latin warmth, flavor and splendor. One-of-a-kind millwork and architectural salvage help capture the essence of old Cuban architecture. Colorful exotic foliage and palm trees add to Cuba Libre's open-air, tropical ambiance. 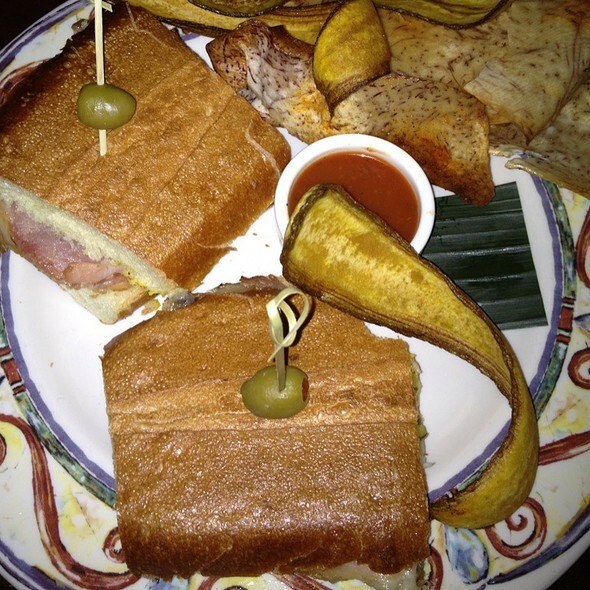 *Marked items are prepared in the most authentically Cuban way, a la parrilla, on Cuba Libre's flaming hot, wood-fired Latin grill. In case of fire, eat up! Had a great time. Ambiance was perfect , felt like we were on vacation eating dinner and the food was phenomenal. The staff was more than helpful and very friendly. My friends and I would definitely be coming back her again. This was our first time having Cuban food and I was impressed how delicious it was. The portions were smaller than previously visits. I had the seafood paella which was very flavorful but small portion. The drinks were good. Nice wine list. I’m expect my family will have my 65th B-day there next year! Great food as always! Great server! Enjoyed our first visit to Cuba Libre. Excellent service. The menu on open table was different than in the restaurant-specifically because there was a fish entrée listed on open table and not available in the restaurant. As a vegetarian who also doesn't eat shellfish, the only option left was the vegetable paella. It's a fun place with lots going on despite the limited menu. The food is ok but not exceptional. Good place if every other place is busy. From the hostess to the bartender, waiter and expediter, we had great service. Tge food was fabulous. Thanks for a great evening. Since the re-do of the Trop, it has become a Vegas caliber hotel. Cuba Libre was also caught in that wake in a good way. The service was top notch, the cocktails were awesome but most important the food was great. We got the mixed grill for 2 - it could have fed 3 easily! The meal was expertly prepared and presented. The pace of the meal was spot on. We will definitely be back! Great meal during restaurant week. Great drinks...food was tasty but I feel it like there are places with better value for your money. Also, I had horrible heartburn afterward which is my personal issue that others might not experience but it killed they rest of our night. Went during restaurant week so we definitely got the best bang for our buck. The hostess was a little awkward at first but she was just waiting to see what table we were getting. We were seating promptly for our reservation. The food was prompt and delicious. Our waitress was lovely and very knowledgeable about the menu. 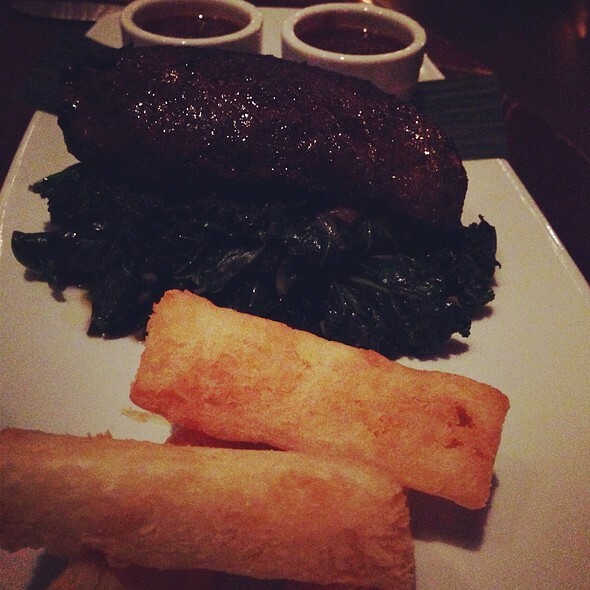 My husband and I chose to eat at Cuba Libre for the restaurant week menu. The OCTOPUS A LA PARRILLA was deliciously memoraborable! 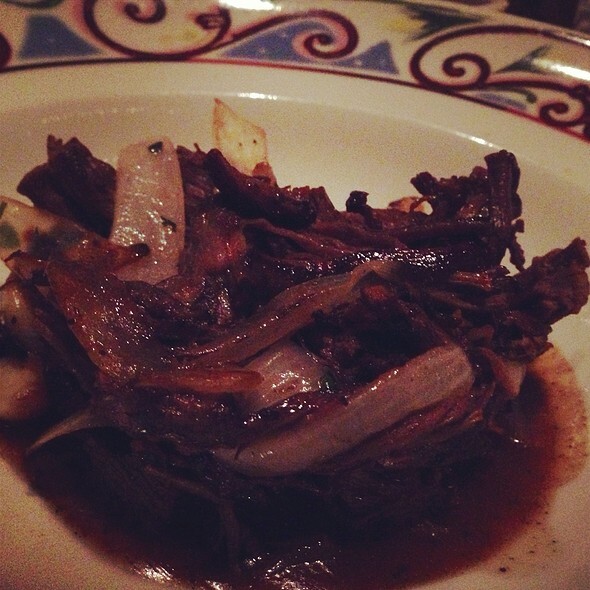 It was amazingly flavorful and tender! The ropa vieja, a classic Cuban dish, was very tasty. The dessert was sampler included an excellent rice pudding. However, the cookies on the dessert platter were only okay, and the flan was very dense, almost sticky, and missing the flavor I expected. Overall, we enjoyed the atmosphere and a very nice waitress made our meal enjoyable. We hope to return and try some of the open grilled items on the menu. Our neighbors' steaks looked fabulous, and so did the grilled chicken dish. I would return just for the grilled octopus! We love love love Cube Libre! Food is always amazing! Great drinks and the atmosphere and service are outstanding! Definitely recommend it! Have been visiting the Tropicana for many years and have had many great meals in other restaurants on the property. I am now very sorry that I waited so long to try Cuba Libre! This is one of the most enjoyable meals I’ve had in a long time. We started with the Octopus A La Padilla. The wood grilled baby octopus with potato cream and crisp garbanzo beans were smoky and flavorful. Followed with the Plato Gaucho mixed grill for two. The skirt and bavette stakes were a perfect medium rare with amazing flavor, the chorizo, shrimp, and chicken breasts were all flavorful as well. The onion rings were the best ever! Service was attentive and drinks were delicious. This is my new go to when visiting Atlantic City! Highly recommend! The food and service were fantastic however they seated my husband and I upstairs. We were the only ones seated there and felt deserted. Even when two more tables filled it still was a bit deserted. Our reservations were Saturday night at 730. Despite the odd seating, would definitely return for the Vaca Frita! The food and service were great. No complaints. I would definitely go back to dine at this restaurant. My husbands Birthday began with a Spectacular dinner at Cuba Libre! Always Magnificent! First time I've ever been! A bit disappointing from what I've heard over years. Cuban not made with nice pork, made from what I would say compares to sliced cold cut meat. Cafe Cubano was like weak dish water. 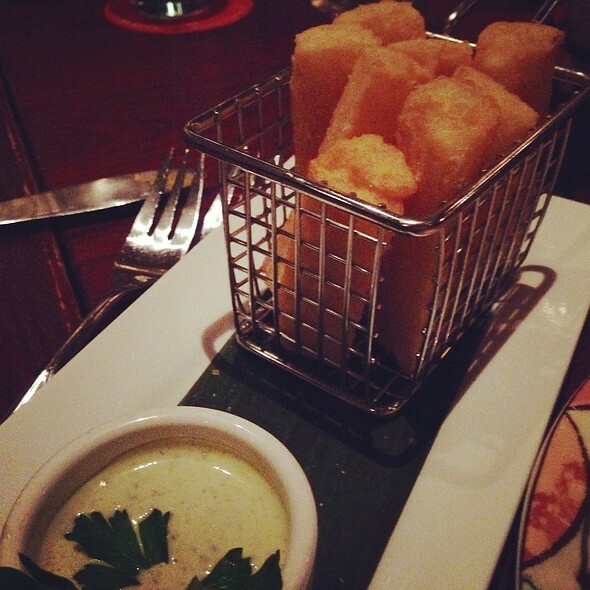 Appetizers were decent. Great service, very knowledgeable about menu and specials. 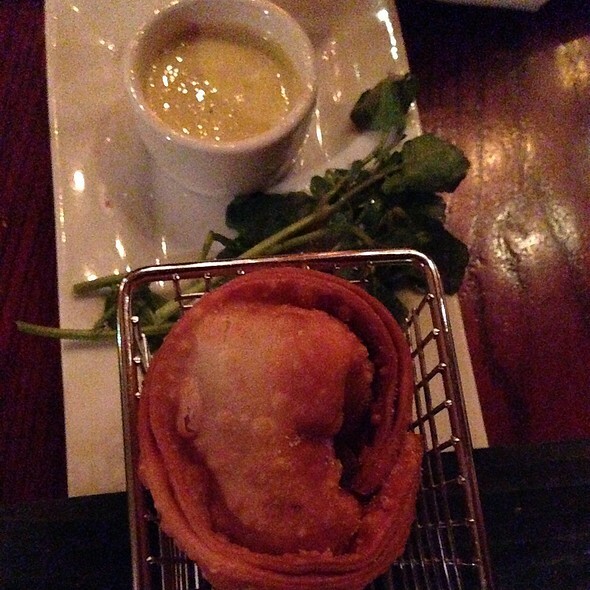 We went day after Valentine's so they had a special app of breaded shrimp and scallops that was excellent. They have updated their menu recently and for the better, my wife had a delicious and tender steak and i had a kingfish in a broth with bay scallops, shrimp and mussels. Her steak was grilled perfect and tender and my dish was delicious if somewhat short on the shrimp and scallops. That said the fish was cooked perfectly and the mussels were the most tender and flavor-able i have ever had. We had the Chef Tasting menu. The food was delicious, plentiful and reasonably priced. Our waiter was very knowledgeable of the foods on the menu too. Love everything about this place. We hadn't been here in about 4 years and were pleased that nothing had changed. Same great service and delicious food!!!!!! Very good food. Service was good!! Definitely go back! Our waiter Kevin was awesome!!! Meh. Nobody in our party liked their meal even a little. Slow service too. Zero chance I’d ever go back. Great food once again. We had the mixed grill. Steaks cooked to perfection. Chicken was perfect. Chorizo nice and spicy. Caught them during happy hour so we also had a large ditcher of Sangria. Fantastic meal. This restaurant has a problem putting open table points through. They don’t know have to do it. I spoke to the hostess and she said if the points don’t go through call open table. If not getting points or you don’t mind calling open table, then you will enjoy this restaurant. Server was very friendly and helpful. Food was delicious! Atmosphere was quaint and quiet. Will definitely be back! Food, service and ambience was great. Dishes were delicious. Had a wonderful dinner....again. Never a complaint. 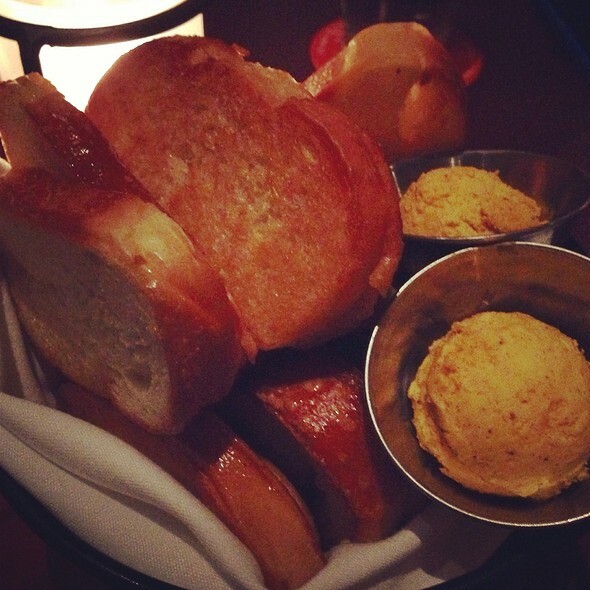 Bread and papaya butter are wonderful compliments. The red sangria is always a great choice of beverage (we usually share a half or whole pitcher). We enjoyed the meat platter along with the rice pudding. We will return! Always a good time. Came here for dinner and the food is always delicious. Wonderful service, food is great!